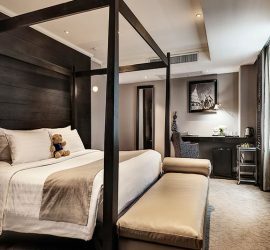 Feel at home with a warm welcome at S15 Sukhumvit Hotel, a stylish boutique hotel near Asoke BTS in the heart of Bangkok. Located at the entrance of Sukhumvit Soi 15, guests can step from the bustling street into the serene lobby with the relaxing scent of essential oil and leave the stress of the city behind. 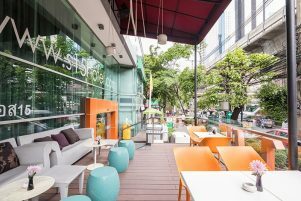 The convenient location makes it so easy to get around Bangkok to visit the shopping malls, convention centers, corporate offices and entertainment districts. 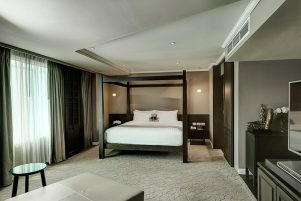 But you don’t need to go far to indulge in spa treatments, sauna, delicious cuisine and music available right here are S15. Our S Lounge is ideal for business with a conference and meeting room. 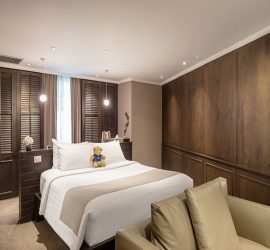 Our boutique hotel on Sukhumvit Road has 72 plush and comfortable rooms and suites with the latest Internet televisions, complimentary Wi-Fi, Italian furnishings and a romantic Jacuzzis! Contact us to make a direct reservation, we look forward to welcoming you on your next visit to the City of Angels! Cocoon yourself in the comfort of our Sukhumvit Road accommodations, designed for pure relaxation with warm colors and modern facilities. 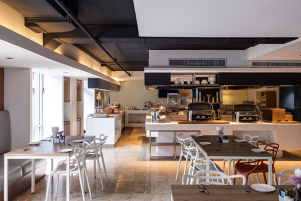 S15 Sukhumvit Hotel provides facilities for both business and leisure guests, so there is no need to leave the comforts of our hotel!